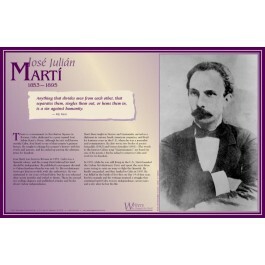 This poster features a photo and concise biography of the great Cuban poet, writer, and revolutionary Jose Marti. It also features a quote from one of his writings. Though he is not well known outside Cuba, Marti is one of that country's greatest heroes. He sought to gain independence for his country through his words and actions, and ended up paying the ultimate price for his ideals. 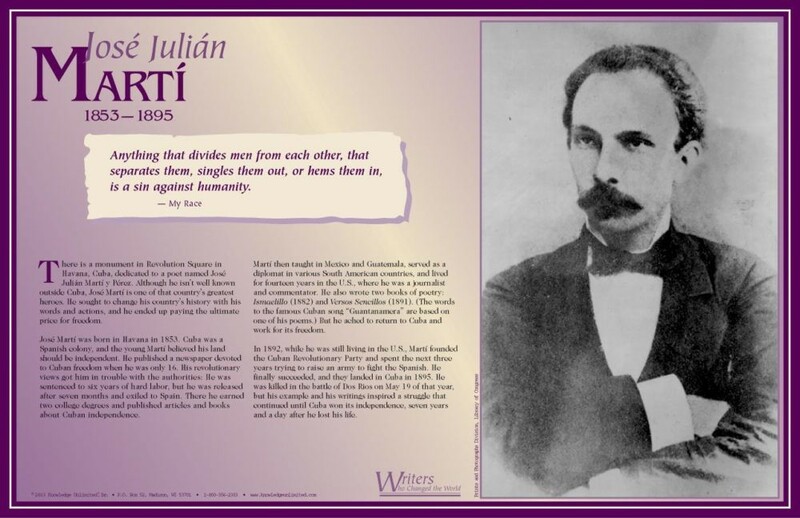 His example and his writings inspired a struggle that continued until Cuba won its independence in 1902.